Tickets for Fall 2012 Season Now On Sale! “Mama, I Want To Sing” 30th Anniversary Season Beginning This Saturday October 6! 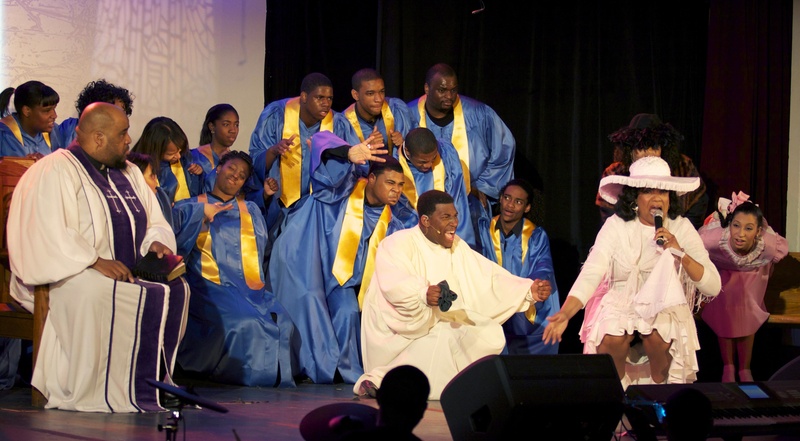 The Emmy award winning Gospel for Teens choir is now featured in “Mama I Want To Sing: The Next Generation” which begins its 30th anniversary season this Saturday October 6 at 4:30 pm at the new Dempsey Theater, 127 West 127th Street in Harlem. Several members of Gospel for Teens appear in the stage musical Mama, I Want to Sing: The Next Generation. Proceeds benefit the groundbreaking Mama Foundation program: Gospel for Teens. Travel A, C, D, B, 2, 3 trains to 125th Street and the M2, BX15, M100, M101, M60, M102, M7 buses. This entry was posted in Event, Harlem People, Music and tagged entertainment, gospel, Harlem, Mama I Want To Sing, Musical, Vy Higginsen. Bookmark the permalink.